What do religious narratives have to do with the adaptation of immigrants from the poorest country of the Western Hemisphere—Haiti? Is it only in the United States—a remarkably more religious country than other countries of the West where Haitian immigrants have settled such as Canada and France—where Haitian immigrants center their lives on religious communities and found faith-based service organizations to support their adaptation? In the more than 150 interviews I conducted for my book, I found that many people convinced that their faith can literally move mountains. For example, a 40-year old Haitian woman in Montreal, Marie, told me that in contrast to the social isolation she felt in Montreal, belong to a prayer group make her feel like she belongs somewhere. She explained how “when you feel that you are somebody, [that] you are a person, [that] you are important, you can move mountains, and that is faith.” Even when they are aware that others see them as just needy newcomers who are passive recipients of state social support, their religious narratives and practices allowed them to become givers of support—even if that support was just a friendly smile, a prayer, or helping clean up after an activity at church. In the United States, praying for others in their own ethnic community and the broader host community is a kind of currency that allows Haitian immigrants to become givers. In Canada and France, religion is at best tolerated as a private practice. Consequently, immigrants who are religious, such as most Haitians, find that some of the gifts they bring with them have virtually no currency in their host society and could even serve as a barrier to their integration. But are such religious narratives of hope in the midst of suffering just an opium for the poor? I argue that contrary: the Catholic Church’s social action on behalf of immigrants is sustained by the active faith in its ethnic ministries and parishes. In Miami, Montreal and Paris, lay leaders and clergy at the Haitian Catholic missions went beyond just created a faith community and founded social service agencies to help all Haitians—not just Haitian Catholics—with the numerous challenges to their new life (learning English/French, finding a job, apply for asylum, obtaining basic medical care, looking for a job, etc.) In exploring the history of these organizations, I learned that, in addition to being morally sustained by their religious communities, frequent interactions with and funding from state agencies were crucial to their success. 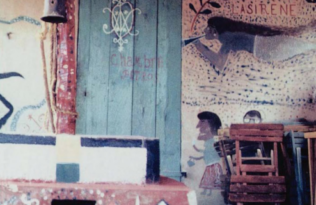 In the U.S. cooperation between the Toussaint Center and the local, state and national government hastened many Haitians’ adaptation and improved their well-being. In contrast, in Canada and France, where government social agencies are more reluctant to cooperate with faith-based mediating institutions, the Haitian communities’ own efforts to move ahead are weakened. In other words, if government social initiatives ignore the most important community associations among the groups they are trying to serve, they are not likely to be extremely successful.